Paul Wright has a broad-based practice, involving all the main areas of commercial work and administrative law. Illustrative of the breadth of his practice is the fact that in the past year his clients have included Apple, Tata, an Isle of Man trust company, Kent County Council, Credit Agricole and the Russian government. He has very extensive experience in civil fraud and asset tracing. 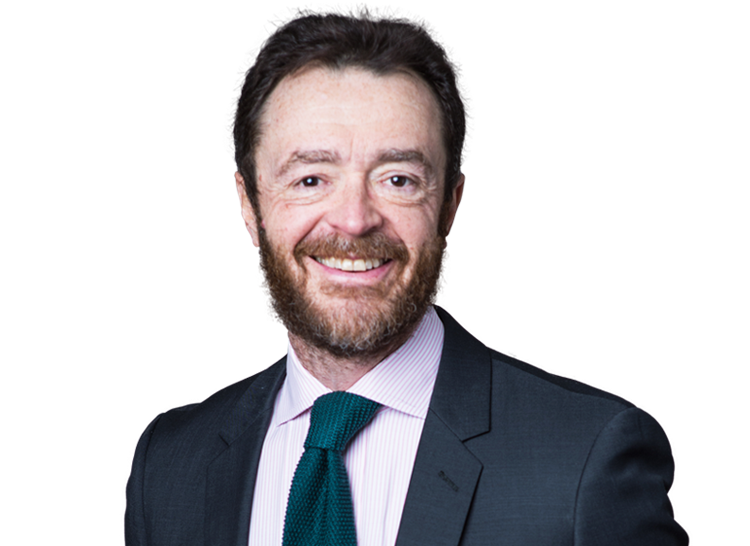 He has experience of acting in proceedings in many jurisdictions, including Jersey, the Bahamas, the Cayman Islands and the Isle of Man. In particular he has been heavily involved in enforcement actions in offshore jurisdictions against trusts set up by judgment debtors. He is also a member of the Cayman Islands bar. He also has significant experience in Russian-related litigation, including fraud claims. In the last year he has acted for the Russian government in two high-profile cases before the European Court of Human Rights. He has advised on and acted in relation to a number of banking and financial services matters, including advising on securitisation schemes and private equity disputes. In 2011 he acted for Credit Agricole in its multi-million dollar claim against IKB, which The Lawyer included in its top 20 cases for 2011. He has acted on a number of large-scale IT cases, acting for a number of large corporate clients including MyTravel. Georgia v. Russia (II) (case no. 38263/08), 13 December 2011 (European Court of Human Rights. Whether the court should admit the inter-state complaint made by Georgia against Russia arising out of the military conflict in 2008. OAO Neftyanaya Kompaniya Yukos v Russia (14902/04) (2012) 54 E.H.R.R. 19 (European Court of Human Rights), a US$98bn claim brought by Yukos in the ECHR. Grupo Torras v Sheikh Fahad and Ors  1 Lloyd's Rep 374 (Commercial Court) and  1 Lloyd's Rep 7 (Court of Appeal). Jurisdictional disputes. A leading case on the Brussels Convention. Grupo Torras S.A. v. Al-Sabah,  CLC 1. (Commercial Court). A 4-month civil trial involving over 50 Defendants. The sums claimed were in excess of US$450 million. Grupo Torras v Khaled Al-Sabah and Folchi  Lloyd's Rep PN 117 (Court of Appeal). A leading case on dishonest assistance. In the Matter of the Esteem Settlement  JLR 53 (Royal Court of Jersey). The case involved tracing, proprietary claims, Pauline claims (the Jersey equivalent of S423 of the UK Insolvency Act 1986) and restitution. Grupo Torras v Khaled Al-Sabah  EWHC 262 (QBD). Conditional fee agreements. In the Matter of the Esteem Settlement  JLR 188 (Jersey Royal Court). This is a leading case on the ability of a judgment creditor to enforce his judgment debt against a trust set up by the judgment debtor prior to his frauds. The judgment considers questions of sham, lifting the veil and remedial constructive trust. Al Sabah and another v Grupo Torras  UKPC 1,  1 All ER 871. Junior counsel for the Claimants before the Privy Council on appeal from the Court of Appeal of the Cayman Islands. The case concerned the ability of the Cayman Court to provide assistance in bankruptcy proceedings in the Bahamas arising out of Grupo Torras' judgment in the fraud action in England against Sheikh Fahad. Sarrio v KIA  3 WLR 1143. (House of Lords). A leading case on the Judgment Regulation. GMA v Storebrand  LRLR 333 (Commercial Court) Insurance dispute. Grovewood Holdings v James Capel  Ch 80 (Chancery Division). Acted as junior counsel for the Defendants at the trial. The Case concerned a claim of professional negligence against the financial advisers to a takeover. Salvage Association v Cap Financial Services  FSR 654 (TCC). Software development dispute; the trial lasted 3 months. Patel v Bank of India,  EWHC 3053 (Commercial Court), margin trading case. Leeds Cricket Football and Athletic Co Ltd v Craven Gilpin (1993, unreported, QBD. ), I acted for the Claimants in one of the few cases in which an interlocutory injunction has been granted to prevent the wrongful termination of a joint venture. He has spoken at seminars on a number of topics, including civil fraud claims, tracing, IT disputes, the Data Protection Act and the Financial Services Act.